October - the month of frights and things that go bump in the night. Luckily Dark Horse is offering plenty of decent reading material to keep you awake so the monster under your bed remains right where it is. Of all the books on offer for the month, these covers are the finest. 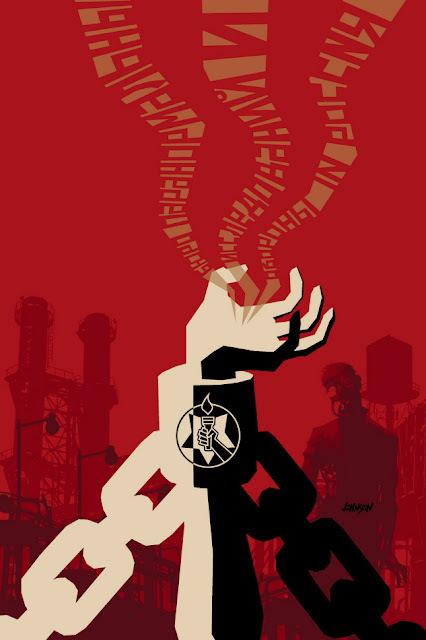 COVER OF THE MONTH: DAVE JOHNSON - B.P.R.D. HELL ON EARTH: RUSSIA #2 (of 5) If you want to evoke the iron design of the soviet posters of old, there's no better artist to turn to than Dave Johnson. I can even see this cover being used for the likes of Amnesty International. A slight tweak to the logo on the cuff and you might even get away with leaving the zombie in! 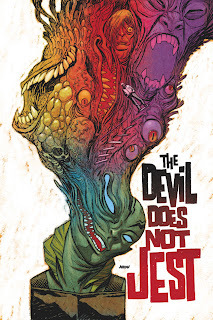 CLOSE CONTENDER: DAVE JOHNSON - ABE SAPIEN: THE DEVIL DOES NOT JEST #2 - Yeah I'm sure other artists do covers for the Horse in October, but hey what can I say? I'm a fan. While I feel like Abe here every Monday morning, the colour trip really sets the whole thing off. Infact I think the purple face at the top is even screaming 'Monday'! 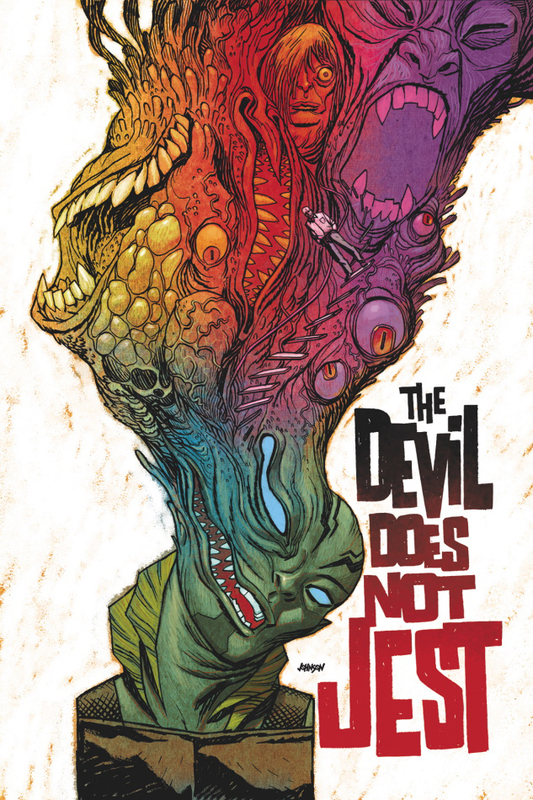 Full Dark Horse October solicits after the jump!